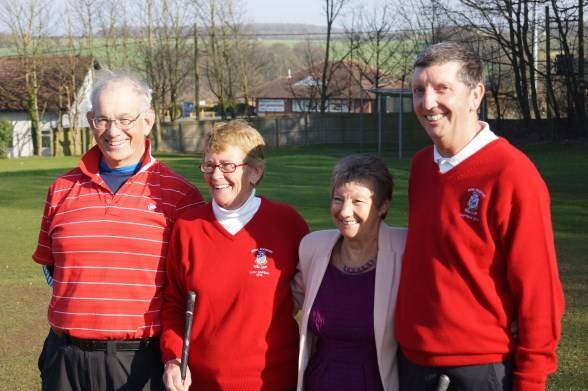 Over £730 was raised for charity as more than 100 members of Stoke Rochford Golf Club provided a warm welcome to their new Club Captains for 2014. 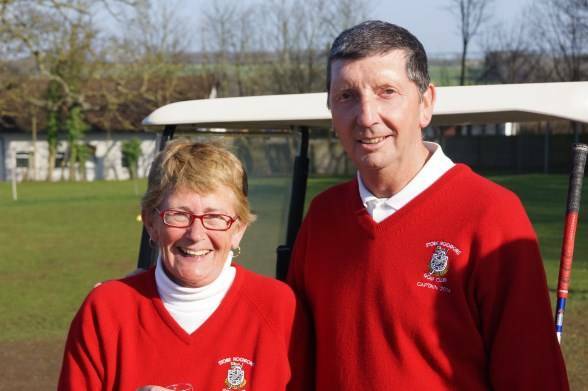 A special stableford competition was organised to mark the appointment of Gary Skerritt and Carol Hamilton as Club Captains for the next 12 months. 26 teams of 4 (104 players in total) were set on their way by club professional Angus Dow, with the best two scores from four to count on each hole. On the warmest day this year, scoring was of a very high standard with the winning team (Knight, Hackett, James and Pickup) finishing well clear of the field with a stunning 92 points. After the main competition, Men’s Captain Gary Skerritt & Lady Captain Carol Hamilton gathered on the 1st tee for their traditional drive in. 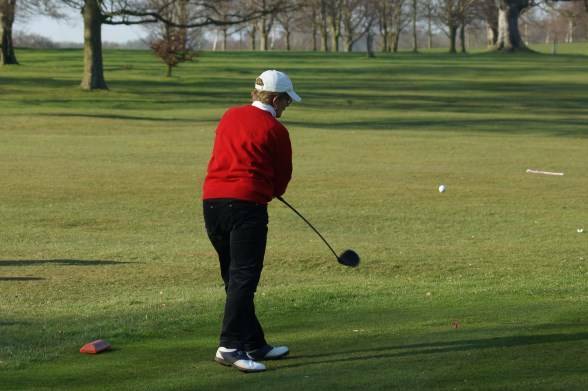 Club member Dave Esswood won the spot the drive for the Club Captain's drive, and Alan Church won the spot the drive for the Lady Captain's drive. 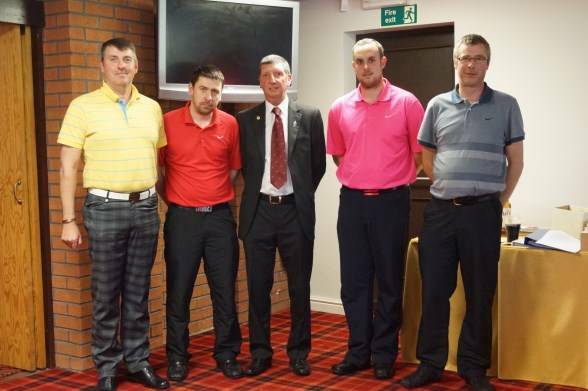 between charities chosen by each captain - Prostate Cancer UK & St Barnabas Hospice Lincolnshire. 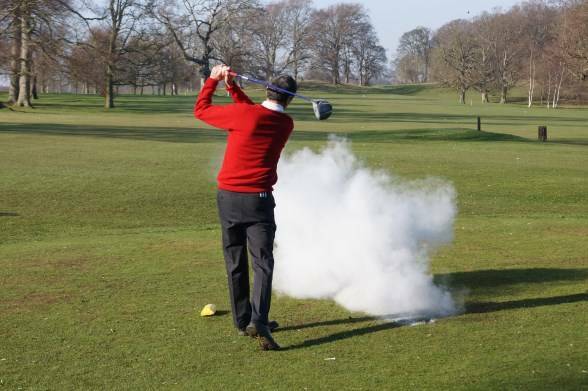 Gary Skerritt Striking the blow at his drive in.